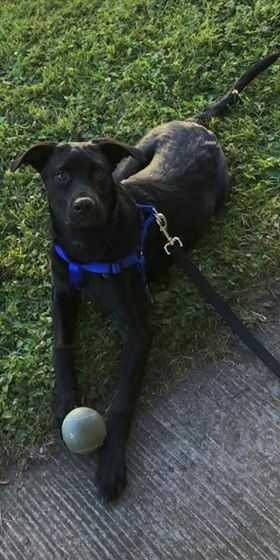 Kam is a 10 month old male mix breed pup needing a new home. He is currently living in Vilseck, Germany. He is not current on his vaccinations and he is not neutered. His owner also said that “He’s great with other dogs. He very hyper needs lots of attention.” We are looking to place Kam in a home without children. The adoption donation is €50 plus the cost of neutering. More information regarding the rehoming process can be found here. More information regarding the adoption process can be found here.